^ 例见：James Allen Vann, The Swabian Kreis: Institutional Growth in the Holy Roman Empire 1648–1715. Vol. LII, Studies Presented to International Commission for the History of Representative and Parliamentary Institutions. Bruxelles, 1975. Mack Walker. 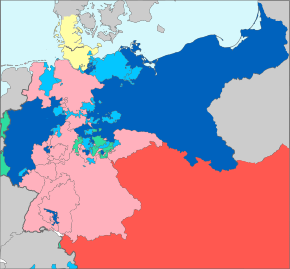 German home towns: community, state, and general estate, 1648–1871. Ithaca, 1998. ^ Robert A. Kann. History of the Habsburg Empire: 1526–1918,Los Angeles, 1974, p. 221. 在其退位书中，弗朗茨宣布终结其过去领地对他的一切义务和职责，并宣布自己为奥地利国王（头衔于1804年创立）。 Golo Mann, Deutsche Geschichte des 19. und 20. Jahrhunderts, Frankfurt am Main, 2002, p. 70. ^ 费希特, 约翰·戈特利布. 对德意志民族的演讲. www.historyman.co.uk. 1808 [2009-06-06]. ^ Jean Berenger. A History of the Habsburg Empire 1700–1918. C. Simpson, Trans. New York: Longman, 1997, ISBN 978-0-582-09007-1. pp. 96–97. ^ 他们追溯德意志语言的根源，并且研究其共同发展的路线。 The Brothers Grimm online. Joint Publications. ^ （德文） Hans Lulfing, Baedecker, Karl 页面存档备份，存于互联网档案馆, Neue Deutsche Biographie (NDB). Band 1, Duncker & Humblot, Berlin 1953, p. 516 f.
^ （德文） Peter Rühmkorf, Heinz Ludwig Arnold, Das Lied der Deutschen Göttingen: Wallstein, 2001, ISBN 978-3-89244-463-3, pp. 11–14. ^ 33.0 33.1 Sheehan, pp. 610–613. ^ （德文） Badische Heimat/Landeskunde online 2006 Veit's Pauls Church Germania. Retrieved 5 June 2009. ^ 例见：Ralf Dahrendorf, German History, (1968), pp. 25–32; （德文） Hans Ulrich Wehler, Das Deutsche Kaiserreich, 1871–1918, Göttingen, 1973, pp. 10–14; Leonard Krieger, The German Idea of Freedom, Chicago, 1957; Raymond Grew, Crises of Political Development in Europe and the United States, Princeton, 1978, pp. 312–345; Jürgen Kocka and Allan Mitchell. Bourgeois society in nineteenth-century Europe. Oxford, 1993; Jürgen Kocka, "German History before Hitler: The Debate about the German Sonderweg." Journal of Contemporary History, Vol. 23, No. 1 (January, 1988), pp. 3–16; Volker Berghahn, Modern Germany. Society, Economy and Politics in the Twentieth Century. Cambridge, 1982. ^ Jürgen Kocka, "Comparison and Beyond.'" History and Theory, Vol. 42, No. 1 (February, 2003), p. 39–44, and Jürgen Kocka, "Asymmetrical Historical Comparison: The Case of the German Sonderweg", History and Theory, Vol. 38, No. 1 (February, 1999), pp. 40–50. ^ 对此视角的代表性分析见：Richard J. Evans, Rethinking German history: nineteenth-century Germany and the origins of the Third Reich. London, 1987. ^ A. J. P. Taylor, The Struggle for Mastery in Europe 1914–1918, Oxford, 1954, p. 37. 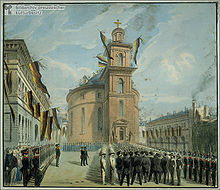 ^ J.G.Droysen, Modern History Sourcebook: Documents of German Unification, 1848–1871. Retrieved 9 April 2009. ^ 书信的剩余部分号召德意志人民统一起来："This role of world leadership, left vacant as things are today, might well be occupied by the German nation. 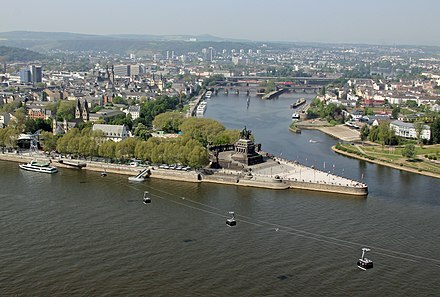 You Germans, with your grave and philosophic character, might well be the ones who could win the confidence of others and guarantee the future stability of the international community. 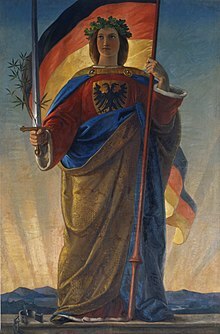 Let us hope, then, that you can use your energy to overcome your moth-eaten thirty tyrants of the various German states. Let us hope that in the center of Europe you can then make a unified nation out of your fifty millions. All the rest of us would eagerly and joyfully follow you." Denis Mack Smith (editor). Garibaldi (Great Lives Observed), Prentice Hall, Englewood Cliffs, N.J., 1969, p. 76. ^ Mack Smith, Denis. Mazzini. Yale University Press. 1994: 11–12. ^ 俾斯麦在法兰克福对德意志的政治和政治家有了最初的经验：作为一位典型的政客，俾斯麦通过吸收不同政见建立了自己的权力基础。他首先是一个政客，这是他力量的来源。此外，他不信任毛奇也不信任罗恩，因此不愿意成为一个他无法控制的军事谋划中的一员。 Mann, Chapter 6, pp. 316–395. ^ Isabel V. Hull, Absolute Destruction: Military culture and the Practices of War in Imperial Germany, Ithaca, New York, 2005, pp. 90–108; 324–333. ^ Michael Eliot Howard, The Franco-Prussian War: the German invasion of France, 1870–1871. New York, MacMillan, 1961, p. 40. ^ A.J.P. Taylor, Bismarck: The Man and the Statesman. Oxford, Clarendon, 1988. Chapter 1, and Conclusion. ^ Sheehan, p. 906; Wawro, pp. 82–84. 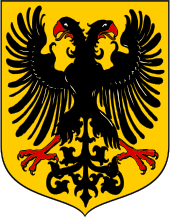 ^ Geoffrey Wawro, The Austro Prussian War: Austria's War with Prussia and Italy in 1866. Cambridge, Cambridge University, 1996, pp. 50–60; 75–79. ^ Rosita Rindler Schjerve Diglossia and Power: Language Policies and Practice in the Nineteenth Century Habsburg Empire, 2003, ISBN 978-3-11-017653-7, pp. 199–200. 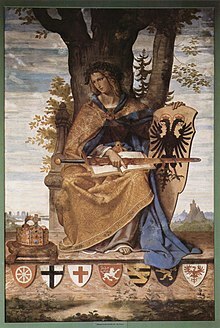 ^ Die Reichsgründung 1871 (The Foundation of the Empire, 1871), Lebendiges virtuelles Museum Online, accessed 2008-12-22. 德语翻译：[...] on the wishes of Wilhelm I, on the 170th anniversary of the elevation of the House of Brandenburg to princely status on 18 January 1701, the assembled German princes and high military officials proclaimed Wilhelm I as German Emperor in the Hall of Mirrors at the Versailles Palace. ^ Blackbourn, Long Century, p. 225–301. ^ 一部分研究：Geoff Eley, Reshaping the German right: radical nationalism and political change after Bismarck. New Haven, 1980. Richard J. Evans, Death in Hamburg: Society and Politics in the Cholera Years, 1830–1910.New York, 2005. Evans, Richard J. Society and politics in Wilhelmine Germany. London and New York, 1978. Thomas Nipperdey, Germany from Napoleon to Bismarck, 1800–1866. Princeton, New Jersey, 1996. Jonathan Sperber, Popular Catholicism in nineteenth-century Germany. Princeton, N.J., 1984. (1997). ^ Blackbourn, Long Century, Chapter VI, particularly pp. 225–243. ^ 参见：Joseph R. Llobera, and Goldsmiths' College. The role of historical memory in (ethno)nation-building, Goldsmiths sociology papers. London, 1996; （德文） Alexandre Escudier, Brigitte Sauzay, and Rudolf von Thadden. Gedenken im Zwiespalt: Konfliktlinien europ?ischen Erinnerns, Genshagener Gespr?che; vol. 4. G?ttingen: 2001; Alon Confino. 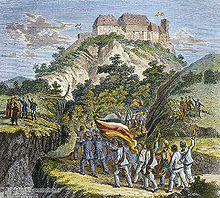 The Nation as a Local Metaphor: Württemberg, Imperial Germany, and National Memory, 1871–1918. Chapel Hill, 1999. ^ 许多现代史学家描述了这一神话，但并不支持之，例如：Rudy Koshar, Germany's Transient Pasts: Preservation and the National Memory in the Twentieth Century. Chapel Hill, 1998; Hans Kohn. 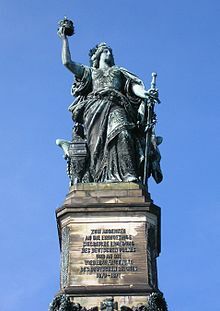 German history; some new German views. Boston, 1954; Thomas Nipperdey, Germany history from Napoleon to Bismarck. ^ Richard R. Flores, Remembering the Alamo: memory, modernity, and the master symbol. 1st ed, History, culture, and society series. Austin, Texas, 2002. Beringer, Jean. A History of the Habsburg Empire 1700–1918. C. Simpson, Trans. New York: Longman, 1997, ISBN 978-0-582-09007-1. 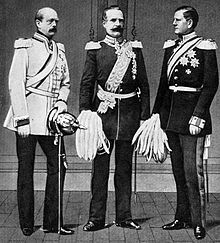 Henne, Helmut, and Georg Objartel. German student jargon in the eighteenth and nineteenth centuries. Berlin & NY, de Gruyter. 1983. OCLC 9193308.